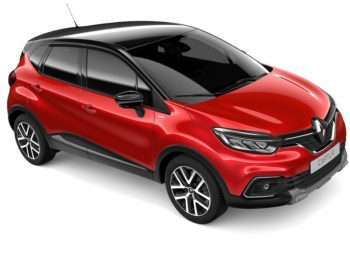 Renault is adding a new S Edition trim for its Captur small crossover, bringing a focus on styling. Already available on the Zoe, the S Edition trim will sit above Captur Play and Iconic and below Captur GT-Line, and features alcantara upholstery and bespoke red styling on the interior as well as gun metal grey detailing on the exterior and exclusive 17-inch alloys. It also gets a choice of six bodywork colours with an optional, no-cost choice of a black roof and black door mirrors. At additional cost the roof and door mirrors can be painted in Ivory or Mercury. Standard equipment includes seven-inch infotainment touchscreen with navigation, DAB radio, rear parking sensors, and automatic headlights and windscreen wipers. It’s offered with a three-strong engine line-up that includes a dCi 90 diesel available with a choice of a five-speed manual or a five-speed Efficient Dual Clutch automatic gearbox. Official combined WLTP fuel consumption ranges from 51.3 to 53.2 while NEDC Correlated CO2 is 110-112g/km. Petrol engines begin with the TCe 130, which is available with a six-speed manual gearbox and has an MPG figure of 42.8-44.1 and a CO2 figure of 128 /km. There’s also a TCe 150 petrol engine, that is available exclusively with a six-speed EDC automatic gearbox. Fuel economy is 42.8-43.5mpg and the CO2 figure is 125g/km. The Captur S Edition goes on sale from next month with prices starting at £19,625 OTR.